The Washington and Idaho general turkey seasons begin Monday and hunters will concentrate on trying to call in a tom. But calling an aggressive hen will sometimes be more effective because when she comes in, she often drags the toms with her. If your gobbler isn’t coming because he is “henned up,” key in on the loudest, most aggressive hen call and try to replicate it. Be loud, be raspy, be obnoxious. Mimic her sounds and her frequency and she may come looking for a fight. Thanks to statewide increases in rainbow trout production at Idaho Fish and Game hatcheries, fishery managers are able to increase fish stocking at several of northern Idaho’s favorite fishing destinations, including Fernan Lake. Fish and Game’s fisheries staff aims to double the number of trout stocked this year in an effort to provide excellent fishing at this popular lake just east of Coeur d’Alene. Around 30,000 rainbow trout averaging 12 inches will be stocked into Fernan during five stocking events. Anglers can expect 12,000 trout to be stocked this week to kick off the fishing season, then 6,000 trout each month during May, June and September. The Gamebird Foundation is sponsoring a free kids hunting and shooting day Sunday on the Little Canyon Shooting Preserve at the Peck, Idaho, ranch. Check-in time is 9 a.m. to 1 p.m. with activities all day long. Participants can shoot a variety of weapons and also have the opportunity to shoot released pheasants. Washington and Idaho youths need to have a hunter safety certificate. Each youth will hunt with a dog and handler and an assigned a safety adviser. There will be a complimentary lunch, and ammunition will be provided by Vista Outdoors in Lewiston. Shotguns will be available for the younger hunters or they may bring their own. Call if you plan to attend: (208) 486-6235 or (208) 883-3423. The Lester V. Smith Memorial Pike Tournament sponsored by Fins and Feathers will run April 27-28 out of Harrison, Idaho, on Lake Coeur d’Alene. This is a two-person tournament with an $80 registration. Participants can register at Fins and Feathers in Coeur d’Alene. Lake Roosevelt water level is at about 1,262 and rising. By April 17, it should be at about 1,268 feet above sea level and three additional launches will be usable –Jones Bay, Crescent Bay and French Rocks. There haven’t been any conspicuous hatches at Amber Lake recently, but a chironomid hatch could come at any time. Fly fishermen throwing bright-colored flies are catching trout ranging from 10 to 20 inches. Coffeepot and Medical lakes are ice-free and back to fishing. Pack some blood worms and balanced leeches, Silver Bow Fly Shop said. All the small Columbia Basin lakes are a good bet for some fly fishing action. Try stripping a small leech. Lake Lenore trout have been fairly active this week, but an increasing amount of gunk in the water sometimes makes fishing difficult. Anglers report good success with a small chironomid under a strike indicator. Leeches on sink tip lines have also done well at times. The Yakima River above the Teanaway has been fishing well with blue winged olives and skwalas showing. Fish the slow tailouts and inside corners with skwala dries or nymph a stone and a small bug such as a Hare’s Ear or Copper John. Popular rivers in Idaho and Montana are on the rise and most will be unfishable for a while. The exception may be the St. Joe, which has been dropping. Conditions aren’t great, but it’s possible to catch fish in slow, soft water with streamers. Lake Spokane continues to offer good fishing for 14- to 17-inch rainbow. Both trollers and bank fishermen are doing well. Sprague Lake is beginning to give up some of its big rainbow to trollers. Deer Lake is ice-free. Trollers are catching some nice rainbow near the surface, and a few small macks have been recently hooked up high. Bank fishing downriver from the Fort Spokane swimming area has been good for anglers throwing orange Power Bait. A friend who fishes there often has taken a five-fish limit of 16- to 18-inch rainbow in short order four trips in a row. He said the trick is to not throw out too far. Another friend said the road into Jones Bay is fine, but the fishing from shore has been slow. Most Hayden Lake kokanee are running about a foot in length. The bite hasn’t been lights out, but orange or pink hootchies or standard Wedding Rings will usually account for a few fish each trip. Kokanee fishing on Lake Chelan is “spotty” and the fish are smaller than last year. The mackinaw are following schools of kokes down lake, and some big ones have been taken recently. Roses Lake in Chelan County appears to be loaded with 10- to 12-inch recently planted rainbow. Trollers are taking fast limits. Coeur d’Alene chinook are hitting helmeted herring on the south end of the lake between 15 and 20 feet below the surface. Fishing isn’t fast and you’ll release several undersized fish before netting a keeper. Walleye anglers are finding the Spokane Arm of Lake Roosevelt to be quite muddy. There are pockets of biters in shallower water. Most of the fish are less than 14 inches. A report from the Pend Oreille River near Newport indicated there has been a good walleye bite there and some good-sized fish. The water is moving into Moses Lake from Crab Creek and walleye are moving with it on their way to spawn. Fishing at the Alder Street Fill in town has been spectacular at times and some big fish are coming in. The best fishing for bank anglers has been at night. A tube jig in perch color has done well. Banks Lake walleye fishing has been tough. The fish have generally been 50 feet and deeper. Largemouth bass fishing is heating up on Potholes Reservoir. New this year in Washington is the “First Turkey Program” for those new to turkey hunting, as well as the “Washington Slam” for hunters who harvest three subspecies of turkey. Information on those programs, and Washington’s turkey season, is in the Wild Turkey Spring Season pamphlet. Turkeys are finally waking up, but the cold, wet weather seems to have delayed the breeding season and the birds have not been particularly vocal. Besides the usual spots in Spokane, Stevens, Pend Oreille and Ferry counties, LeClerc Creek and Rustlers Gulch wildlife areas in the northeast district usually have a good number of gobblers. The winter closure gates on the Bisbee Mountain and Trout Lake roads on the Sherman Creek Wildlife Area reopened April 1. WDFW’s Asotin Creek, Chief Joseph and W.T. Wooten wildlife areas also provide good turkey hunting each year. Washington hunters looking for public land hunting opportunities should take a look at mapmet.com to help locate good areas for turkey hunting. Some private landowners have registered agreements for access and can be found at WDFW’s Private Lands Hunting Access webpage. Turkey populations in Idaho are strong, especially in the Panhandle and Clearwater regions. Hunters should use Idaho’s Hunt Planner (idfg.idaho.gov) to locate a specific spot. Also, check out access programs, especially Access Yes! at idfg.idaho.gov/hunt/access. The Idaho big game hunting brochure for 2019-20 seasons is now available online at idfg.idaho.gov. Hunters are reminded that 2019 spring bear and wolf hunts and rules are in the 2017-18 rules booklet at idfg.idaho.gov/rules/big-game/2017-2018. The 2019-20 brochure, which contains seasons and rules for deer, elk, pronghorn, black bear, mountain lion and gray wolf, will be available in print at license vendors and Fish and Game offices by May 1. 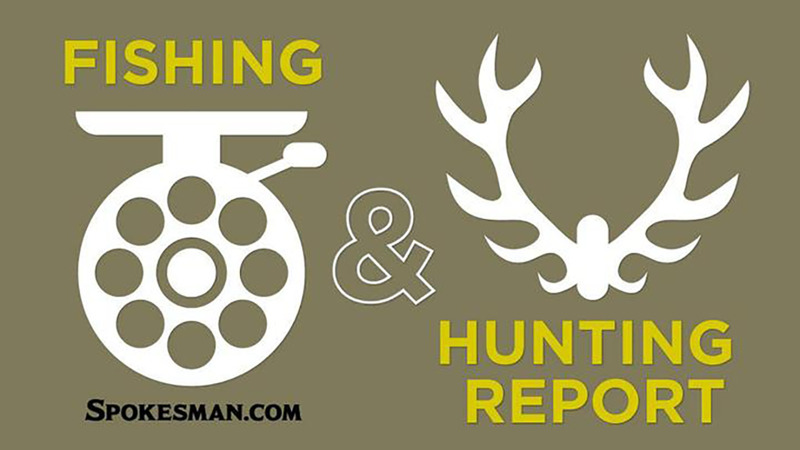 The Idaho Hunt Planner does not reflect the new seasons and rules, but will be updated soon. Applications for controlled hunts for deer, elk, pronghorn and fall black bear run May 1 through June 5. Controlled hunt applications are not accepted via mail. Published: April 10, 2019, 4:30 p.m. Updated: April 10, 2019, 5:16 p.m.